How to integrated Grails 3 and MongoDB in step by step tutorial of simple create-read-update-delete (CRUD) web application. Previously we have done an example of CRUD web application using Grails 3 which were using default database H2 or HSQLDB in memory database. 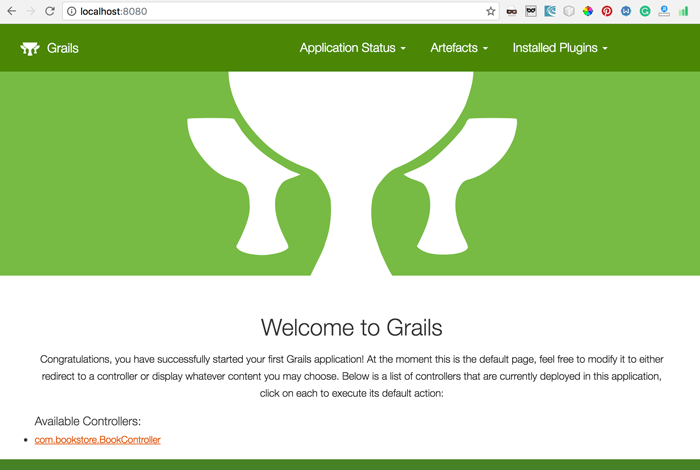 Now, we are creating an example of using Grails 3 and MongoDB. Before we started, please make sure you have Grails 3 and MongoDB installed and MongoDB server is running in the background. If that clear, let's get started. Open console or terminal the goto your projects folder the type this command to create a new project. This command tells grails to create new project calls "grails3-mongodb". Go to the new created project folder. Type this command to enter Grails interactive mode. For making grails 3 works with MongoDB, open and edit build.gradle in a root of the project folder. Disable hibernate plugin in build scripts dependencies. In main dependencies disable hibernate4, hibernate-ehcache and h2. Add MongoDB dependencies, so build gradle will look like this. Next, we need to configure mongodb connection. Open grails-app/conf/application.yml. Remove default hibernate and h2 config then replace with this config. We will use "bookstore" as database name, host, and port using default MongoDB for deployment on the same server with application container. Compile your application to get all dependencies. Based on database name "bookstore" we are creating a domain name "book". Type this command in grails interactive console. This command will create two files. File in the grails-app folder is domain file and file in src is unit test file. Edit Book.groovy and create some fields like this. 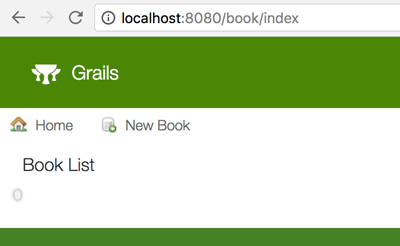 Back to grails console, generate CRUD scaffolding for this domain. This command will generate all required files for CRUD functions. To make sure this application works, type this command in the interactive console. Before type that command, please make sure your MongoDB server is running. Open this URL http://localhost:8080 in the browser. You can see book controller in the bottom left of the screen. Just click on it. Congratulations, now you can try all CRUD function using Grails 3 and MongoDB.